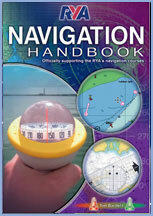 We will need to see evidence of your Essential Navigation Certificate – please email a copy to us prior to booking (not necessary if you completed this course with us). Work at your own pace – up to six months to complete (with optional extension if required). The online format means you can learn anytime, anywhere – so long as you have access to the internet. If you like the idea of taking the course in this way, please take a look at the Free Trial and then go to our booking page to sign up and pay online. We will then email your login details and link for you to get started. Due to postage problems, Spain, Italy and Portugal now have to go by courier – £30. (US & Canada £30, Rest of the world £40). 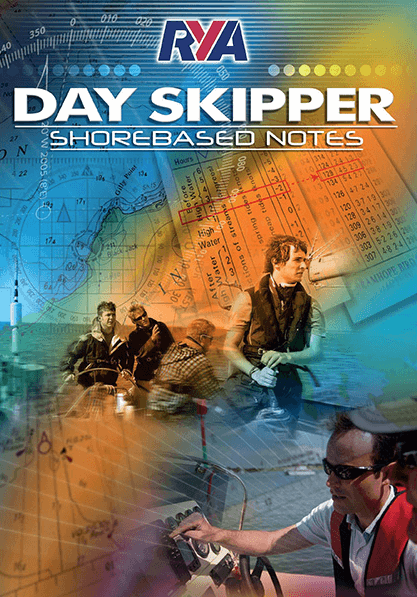 Saving £60 on usual Day Skipper price. Designed to work seamlessly across PCs, Macs, tablets and smart phones enabling you to learn at home or on the move. Duration 40 hrs online study - Work at your own pace - initially six months to complete (with optional extension if required). It only expires when you pass! "Thanks for the quick feedback Michelle. I really enjoyed the course which was very well laid out. I look forward to getting my certificate, thanks." "Congratulations on your very didactic online course. Would it be possible to continue with another six months for the Coastal Theory?" 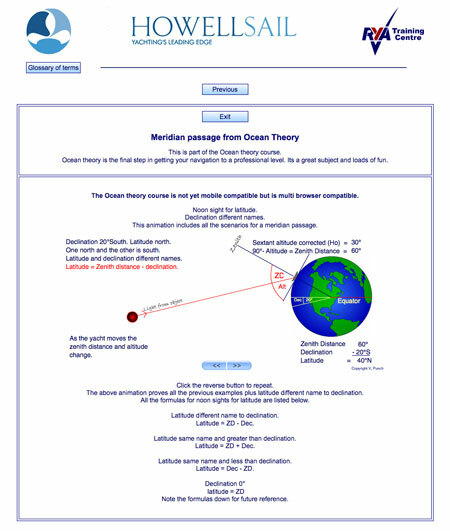 We send you a theory pack with charts, books & general information. Included is a personal link to the Navathome Online Theory site, where all the lessons are laid out in an easy to understand way. You can check your own work as you go by clicking answer buttons. 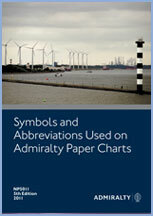 These include full colour pictures of the chart work etc. On successful completion of the course exercises we send you a password to access the end of course assessment. Complete the examination online in your own home. Your RYA Course Completion Certificate is then forwarded to you once the examination papers are completed successfully. Should you have any difficulties we provide a full back up service whereby you can contact us by email or phone. Your questions will be dealt with promptly by a fully qualified RYA Instructor. We also have reciprocal arrangements with some sailing schools in the UK, Menorca, Gibraltar, & Gran Canaria, where if you wish you can put some of the theory into practice on a practical course before completing your final theory exams. In this case your instructor will check your theory & help you with any parts you may be having difficulty with, & when you are ready you can complete the exam. The Day Skipper online theory course will equip you with enough knowledge to navigate in familiar waters in reasonable weather by day. This course will teach you all about navigation & tides, including course plotting, position finding, safe depths, bridge clearances, weather, collision avoidance, how to tie knots, chartwork, safety on the boat, planning a safe passage, using GPS, mooring, anchoring & Pilotage. This course is also iPhone & iPad compatible, so you can complete it anywhere, on any computer or mobile device! 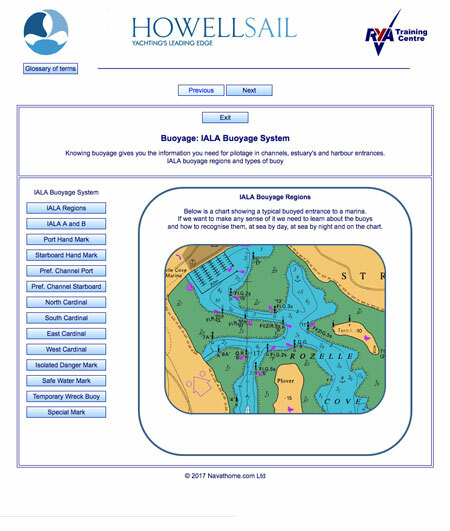 On receipt of payment we issue you with a username & password allowing you instant access to the online course and also post out to you the RYA course pack containing RYA Training Charts, the RYA Chart Plotter Simulator, the RYA Day Skipper course notes, the RYA Training Almanac & the RYA Day Skipper Course Exercise Papers. Free plotter, divider and radar simulator. The RYA assessment & certificate are all included in the price. The course is made up of detailed lessons, most of which are animated for easy learning. Each lesson is followed by a set of questions which can be answered online. Once an answer is submitted the feedback is instant in the form of a detailed answer page. Some answers will be forwarded to your instructor who will provide personal feedback & help where required. 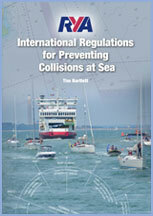 The RYA recommends a total of 40 hours tuition for the course. We do find on average that it takes people between 30 and 50 hours to complete over a couple of months, however we do allow up to 6 months for completion if necessary, with an optional extension if more time is required. For the duration of the course you will have a dedicated Yachtmaster Instructor providing feedback, personal help & instruction. Once the course has been completed, the course assessment can be taken online in your own home. On successful completion, your certificate will be issued. The contract is between Navathome.com and the student. 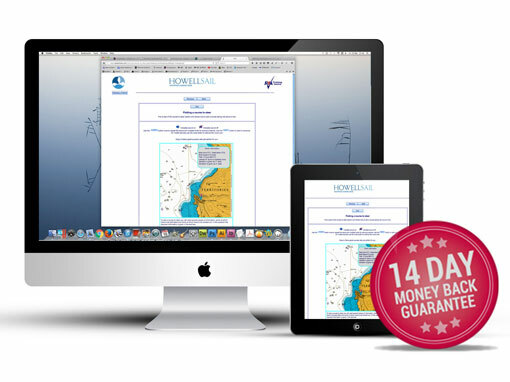 Under Navathome.com and consumer protection (Distance Selling) regulations you have a statuary cooling off period of 14 business days from the day you receive your course. During this period you can cancel your purchase up to 14 days from the day of purchase. At any time during this period you can notify the training centre that you wish to cancel your contract with us and we will give a full refund including any delivery charges. The course materials must be returned in an ‘as new’ condition and the postage paid. If the course materials are being returned because they are faulty then the training centre will refund any postage costs. Access to the online course material is terminated immediately. You will not be able to claim a full refund if the course material has been damaged or if you have no proof of purchase. The training centre reserves the right to deduct for the net cost of any missing or damaged course materials and postage. Payments for course fees are due, in full, at the time of enrolment. Payment can be made by bank transfer or by cheque in GBP, drawn on a UK bank, or by Debit/Credit card or Paypal. The student pack will be sent on the next working day and delivery to Europe is included in the course price. Additional fees may be applied to addresses outside of these areas. Navathome will not be held responsible for any duty or expenses incurred in the country of delivery. Please check that the free trial runs on your device before booking. The courses do not use a platform so work on most devices including Ipad, Iphone, PC, Mac, Android etc. Students should be at the correct level for the course being taken. 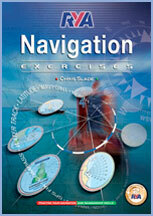 Coastal/Yachtmaster theory is required before taking the RYA Ocean theory. We will provide online back up and land line telephone backup as required by each student and every endeavour will be made to help students achieve their aims. 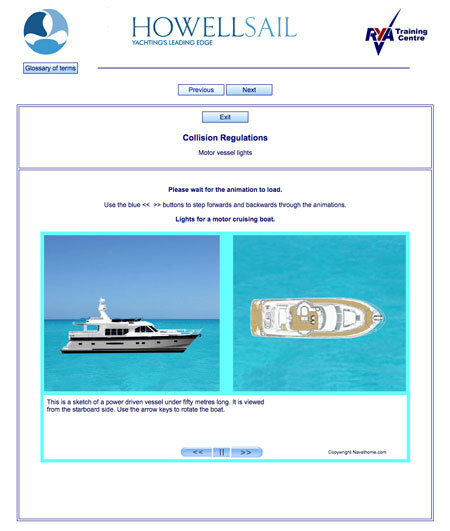 All online material has been written and is under copyright to Navathome.com Ltd/ No part of the online documents can be reproduced, stored in or introduced into a retrieval system, or transmitted in any form or by any means, (electronic, mechanical, photocopying, recording or otherwise) or for any purpose, without the express written permission of Vic and Lyn Punch. Course material should be treated as for any copyrighted material.